It’s not often that a maker has not one, but two studios at their disposal, but silversmith and Image Interiors & Living Design Award winner Cara Murphy has recently been lucky enough to list herself among them. 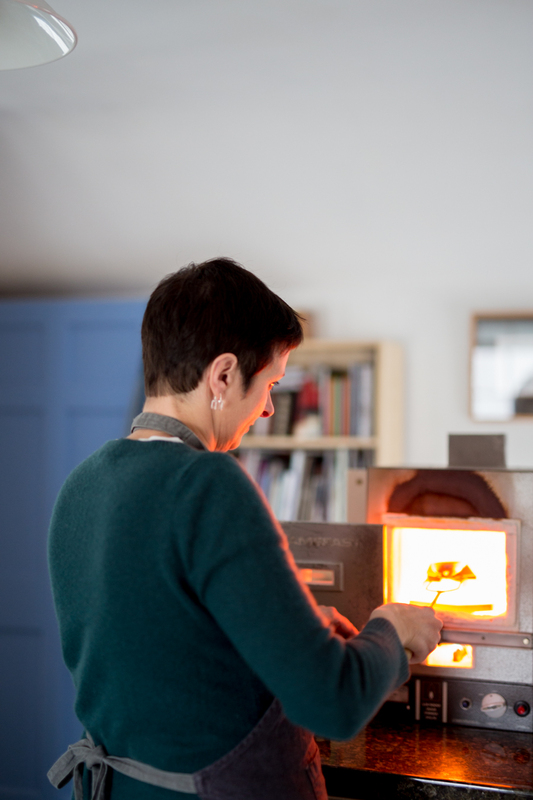 For years she has worked from the Co Down studio of her father, fellow silversmith Michael McCrory. 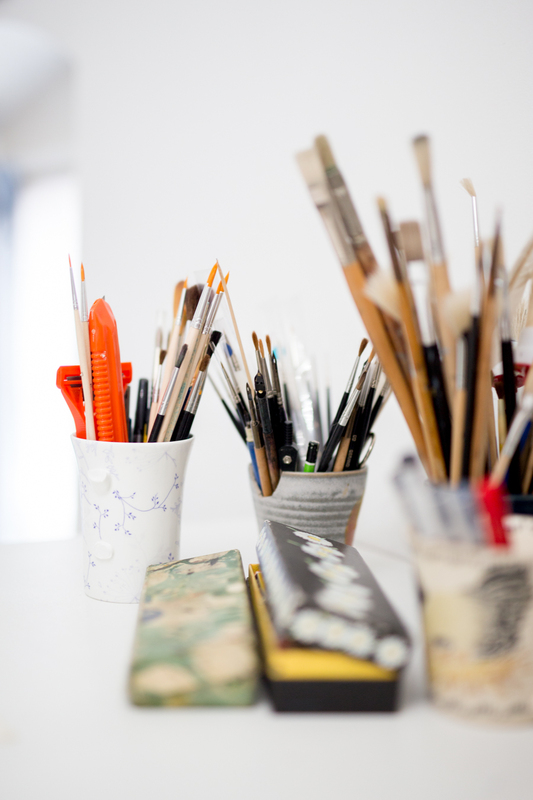 “The workshop that I share with my dad is dirty and disorganised,” Cara explains. “He has been silversmithing for over 50 years, and I have for 30, so there's 80 years of tools gathered up between us. We’re both very messy and can’t always find everything. 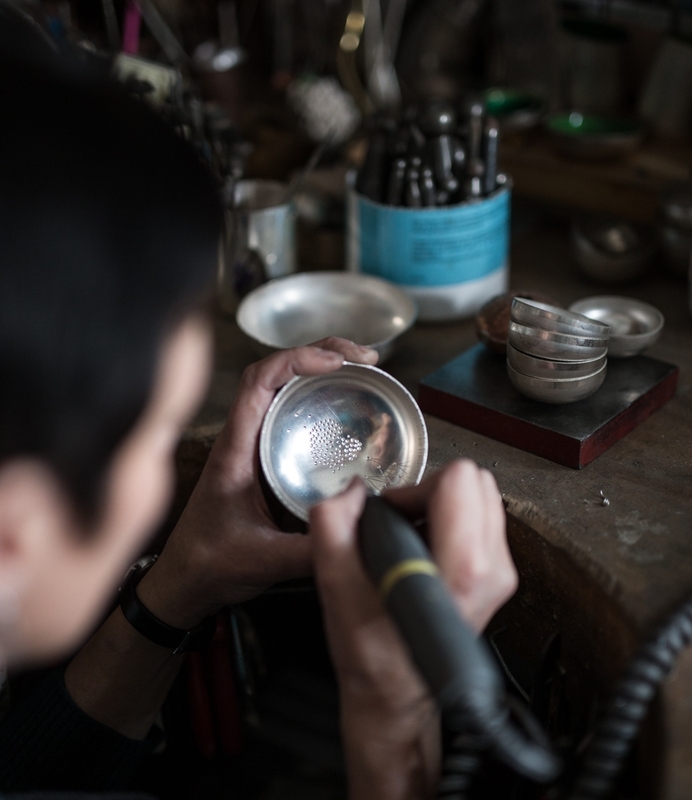 You buy silver as a sheet or wire, and you've then got to manipulate that into the forms that you want to create, so you need many different tools to do that.” Her workbench is just six inches from her father’s, and she says it’s great to have an extra pair of hands, or another opinion if needed. 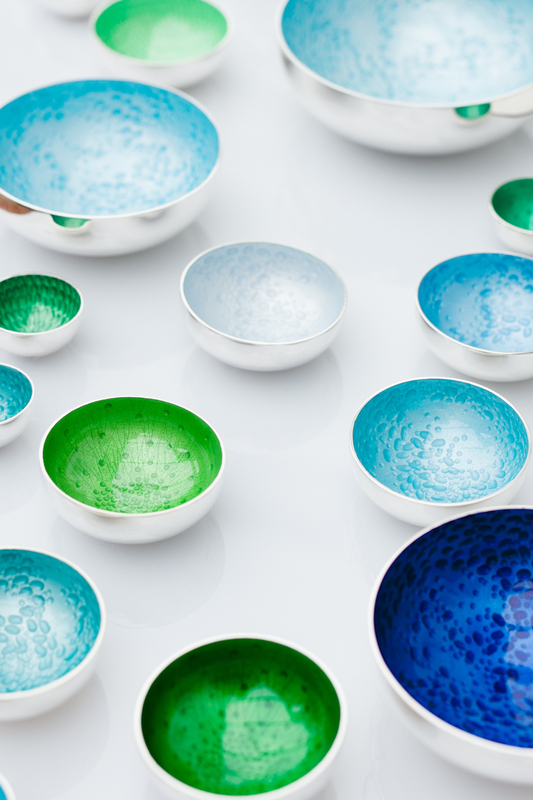 The product of Cara’s new combination of skills has been 100 enamelled silver bowls, now on display at the Ulster Museum, which she explains was a lengthy process. The shape of each bowl is formed by putting a sheet of silver in a hydraulic press, a process that is called deep drawing. Cara then engraves the bowl to create various patterns like bubbles or grass. To add the vividly coloured enamel layer, she uses a quill to make a very fine layer of ground glass particles on the surface, and then fires it in the kiln. She usually repeats this process around three times using transparent enamel, so the surface of the silver is still visible through the colour. The glass is then evened and re-fired, and the silver polished before each bowl is complete.